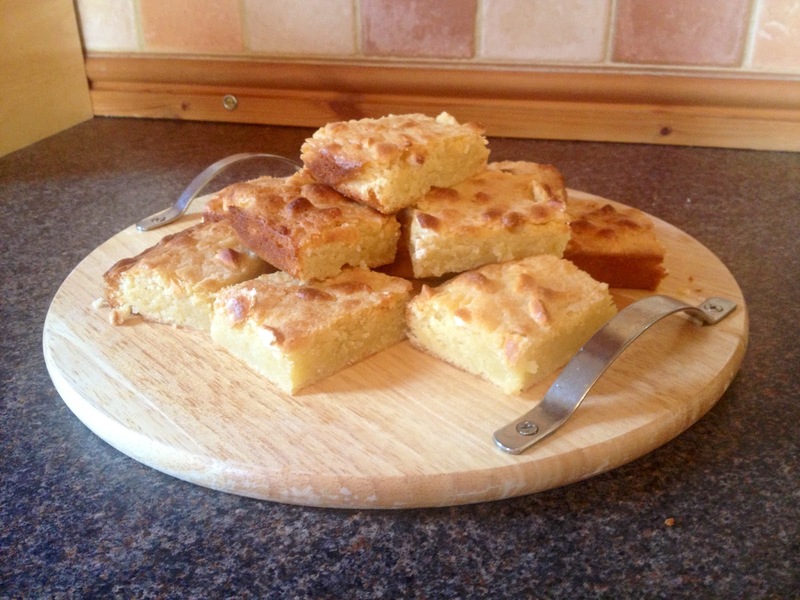 For those of you that don’t know what a blondie is… it’s basically just a white chocolate brownie. Now this was a bit of an experiment. 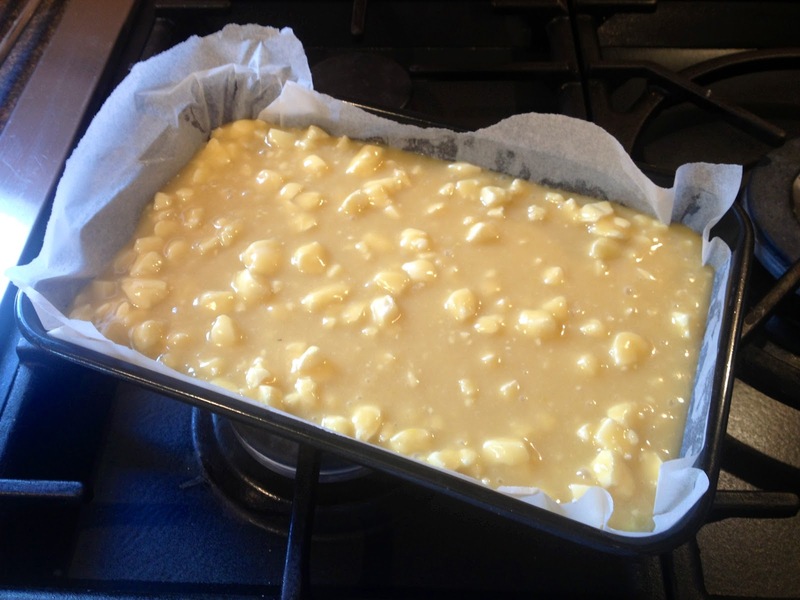 I’ve never made blondies before and I know that white chocolate can be a bit more difficult to work with than dark plus I was a bit unsure as to how the lemon juice would work in the mixture, so I was a bit worried about the outcome. Rather than use a recipe though I decided just to make it up as I went along using my fairly basic brownie making knowledge. I think it turned out fabulously! These are a great alternative to the classic brownie and make a nice change, somehow the lemony edge also makes them seem a little lighter. The meringue spread throughout gives a nice little crunch. If you’re a well practiced meringue maker (I’m not) then by all means make them yourself but I used pre-made ones from the supermarket which work fine and crumble up nicely. 1. Preheat the oven to 170°C and grease and line a baking tray with greaseproof paper. 2. 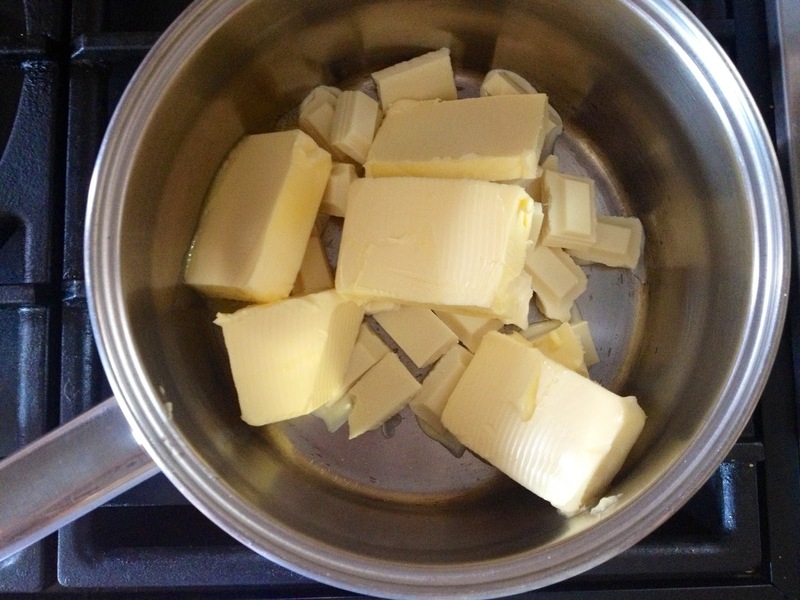 In a large saucepan slowly melt together the white chocolate and the butter using a gentle low heat. 3. 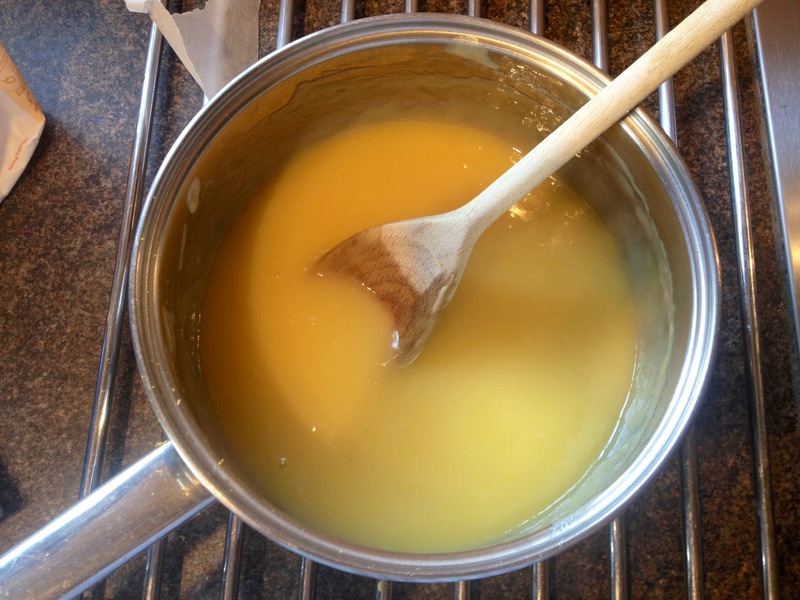 Stir in the sugar, vanilla and lemon zest and leave the mixture to cool. 4. 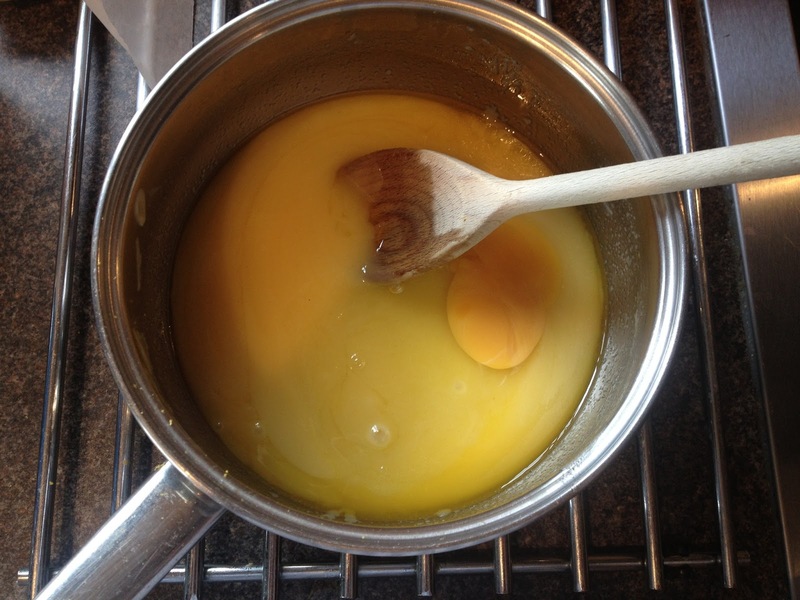 When cooled beat in the eggs and the lemon juice. 5. 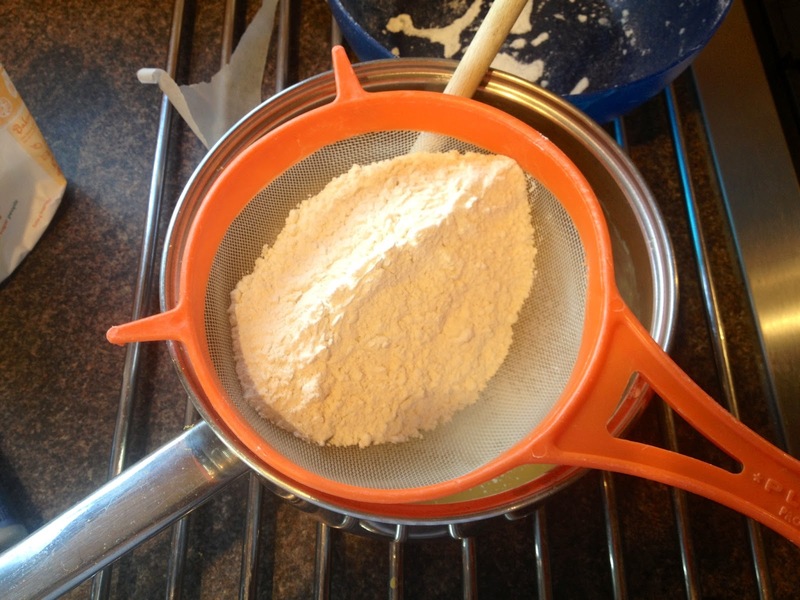 Sift in the flour and fold through until combined in the mixture. 6. 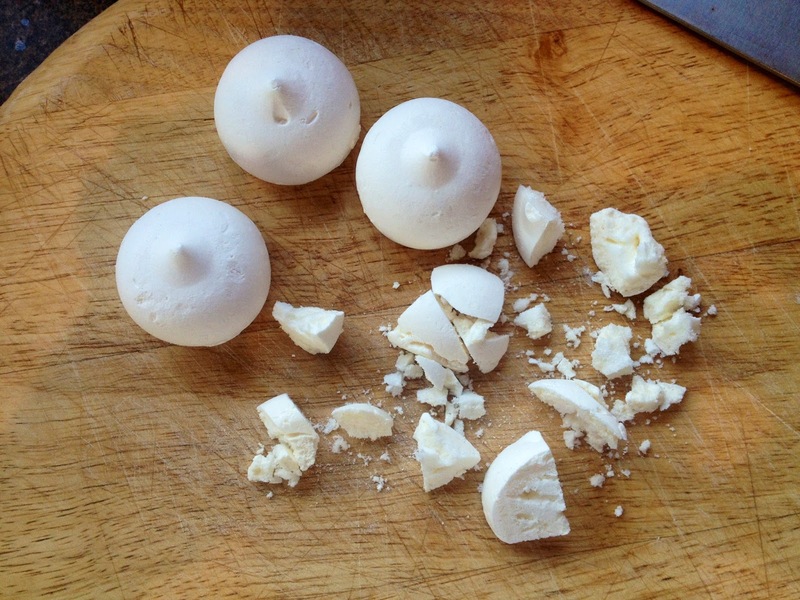 Crumble the meringue into small pieces and stir into the mixture until they’re spread evenly throughout. 7. 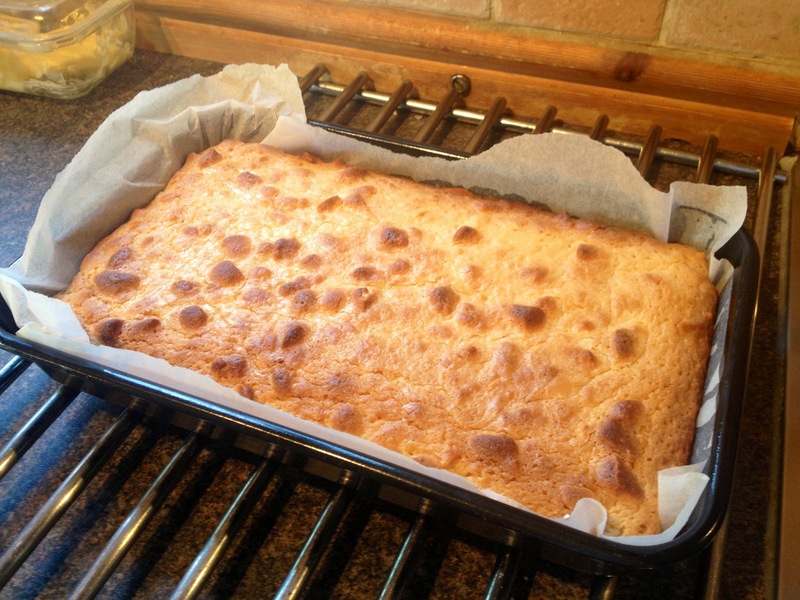 Pour into your lined baking tray and bake for 30 minutes. 9. Slice into 12 pieces and serve.